Why doesn’t Dan Haren get the respect he deserves? Is it because of the teams he’s played for? I don’t get it. Nice one. 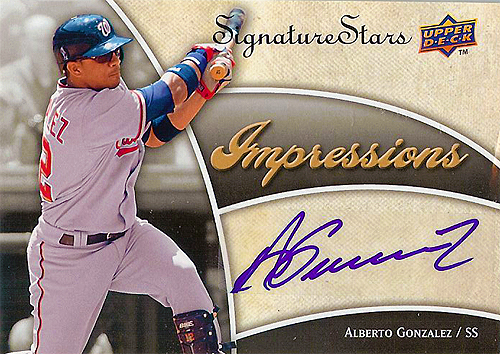 I have a few Cordero autos in my collection, but I couldn’t turn down one that was numbered this low. 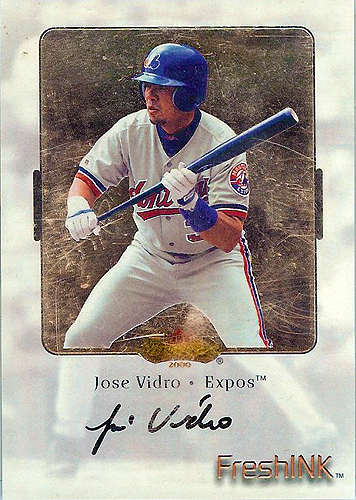 Another Jose Vidro auto to add to my collection. Always happy to add another numbered Zimmerman card to my collection. 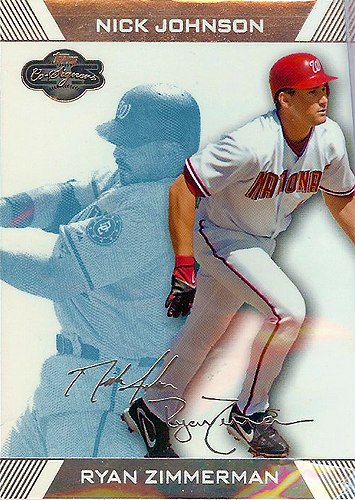 I’m a refractor junkie, and I really like the white chrome design from 2007. 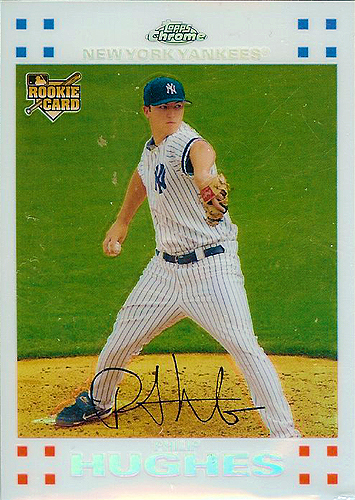 In addition, I think Hughes has a bright future, so even if he is a Yankee, I wanted. The wear on this and the vidro are from the cases. A sweet little gray swatch of a Hall of Famer. It has stitching, too! I like to pick up HOF stuff when it’s possible, so, again, this was a no-brainer. So thanks, Joe! I hope you like your card. 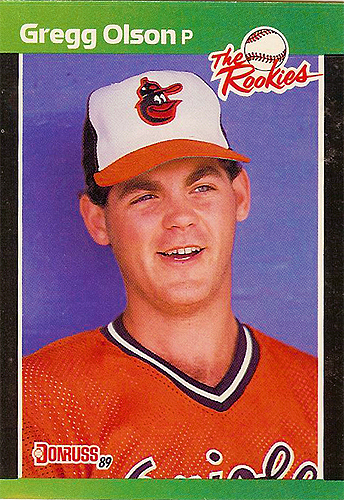 Today we look at the promised 1989 AL Rookie of the Year, Gregg Olson. This is going to be a fun entry, as I have quite a connection to the Otter; even if I never met the guy, he meant a lot to me. 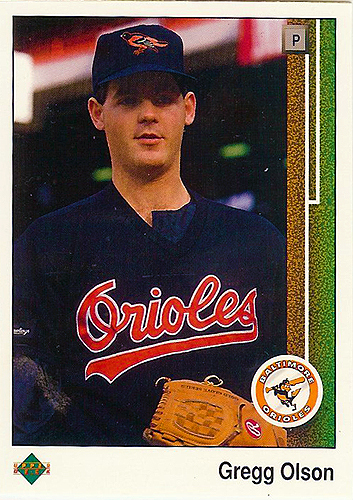 You see, I was a die-hard Orioles fan in 1989, and Gregg was something of a second coming for young Orioles fans at the time (a role Ben McDonald would go on to fill in 1990). I was even privileged enough to see him pitch in person on July 31st, 1990, when he closed the game out against the Blue Jays. It was my first major league game, and Olson’s appearance must have been electrifying, as I don’t remember much about that game other than Olson’s performance and taunting Glenallen Hill about his then-recent spider dream incident. We got his attention, too! But the most vivid memory was that 9th inning, when the entire stadium was on its feet to the last strike. What a performance, and I can point to it at as a moment when I really started to love baseball. The Otter spent his college days at Auburn, where he pitched in relief. 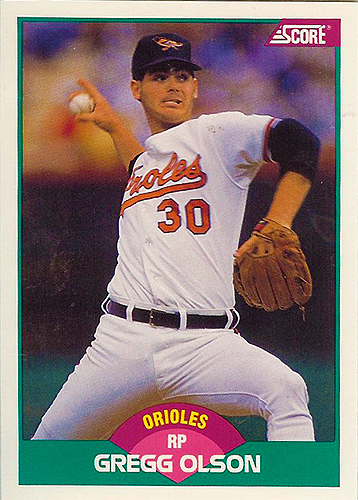 In 1988, the year the Ori0les took him with their first pick, he struck out 113 in 72 innings, leading his team. 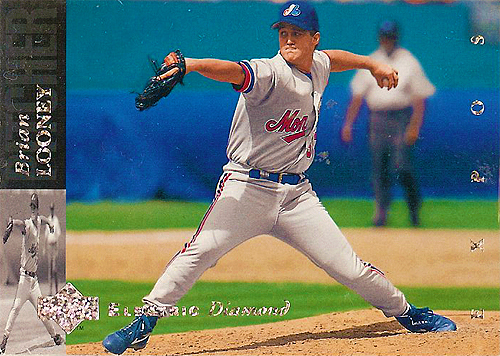 Like most college relievers, he didn’t spend much time in the minors, toiling in only 16 games between Hagerstown and Charlotte before debuting at the Kingdome on September 2nd, 1988. He struck out two and walked one, but the Orioles weren’t quite ready put him in the closer role. 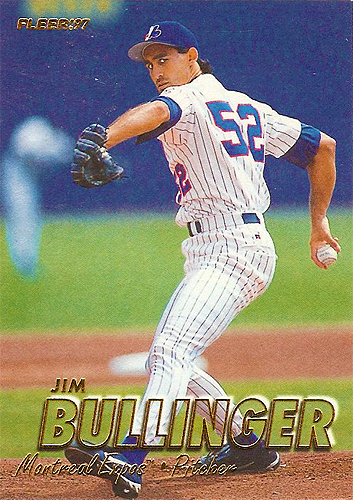 He started off hot early in 1989 (3 victories and 2 saves in his first 11 appearances), and became entrenched at the back of the bullpen. Of course, this was as Tony LaRussa was only just defining modern closer usage, so Gregg had plenty of outings that stretched past one inning; in fact, he had three games with at least three innings, and eleven two-inning affairs. That’s pretty amazing when you compare it to today’s usage patterns. 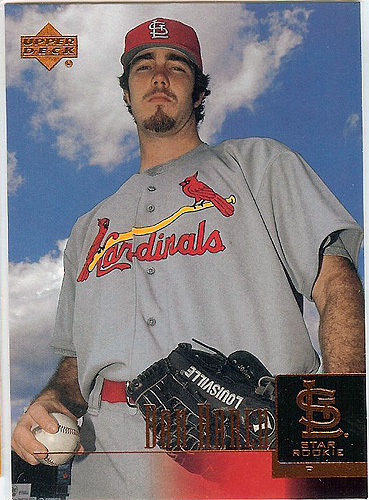 He even had a couple of four strikeout outings with that sick curveball (you know, the one that would eventually shred his arm). Did you know he surrendered one home run the entire year? Stunning. The guy was unstoppable. 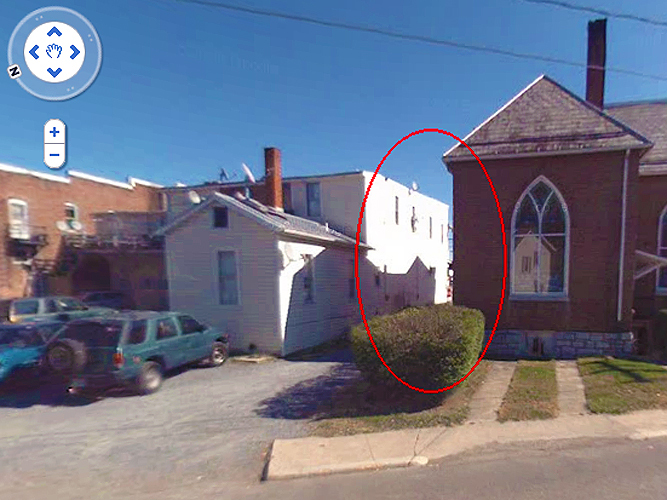 The white building on the left of the photo is, in fact, the store where I bought that pack. Though it was yellow at the time, it’s still standing all these years later; I even visited it a few weeks ago. It has a different name and a new coat of paint, but it’s essentially the same (minus the packs). 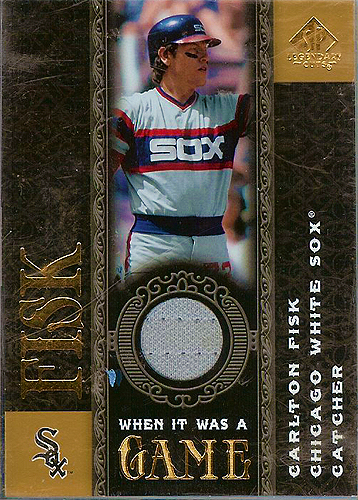 The Olson Topps was my first experience with a draft pick card, and as a budding prospector, I thought it possibly the greatest thing ever. Two thoughts sprang to mind: one, were there other draft picks in the set? (There were.) Two, how on Earth could I get this signed? The very idea was like visiting Mars to a kid in a small country town three hours from the closest team, but I wanted it. I tried to get him to sign it at the games I attended over the years, but I never had any luck. I did manage to score a signed version in 2003, appeasing that inner child. 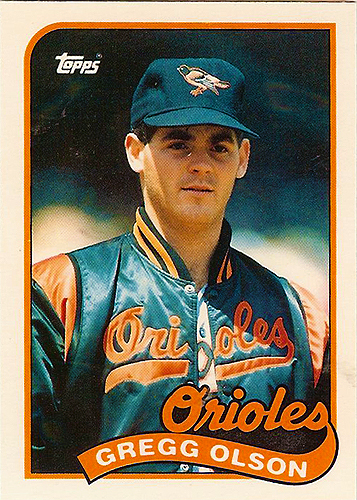 One of the more interesting aspects of the 1989 Project Orioles cards are the uniform variations. 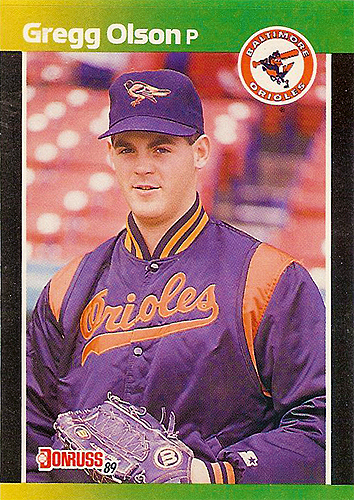 If memory serves correctly, the team used the old Orioles uniforms in Spring Training, then changed to the black-capped versions once the season began. This means that it’s extremely easy to tell which pictures were taken in Spring Training. Some of the uniforms also have an EBW patch. The patch was worn in memory of Edwin Bennett Williams, who owned the team from 1930 to his death in August of 1988. We’ll look at that later, though. For now, enjoy The Otter! Unfortunately, a lot of cards that I ordered has still not shown up, so this party may be cut short if they don’t show up tonight. I have a few more items to post, but I’m frustrated with this guy…anyway. 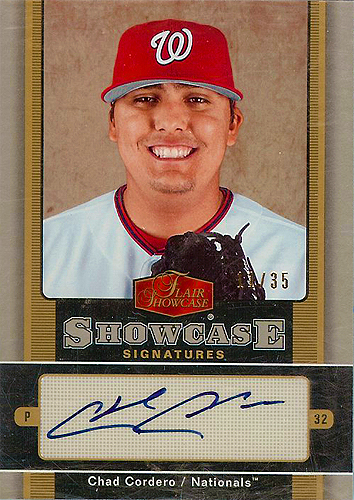 Alberto Gonzalez was another player that I hadn’t been able to find an auto for. I was stoked to find this one, and the sticker’s actually not so bad, except for that little bit that bleeds over onto the photo. 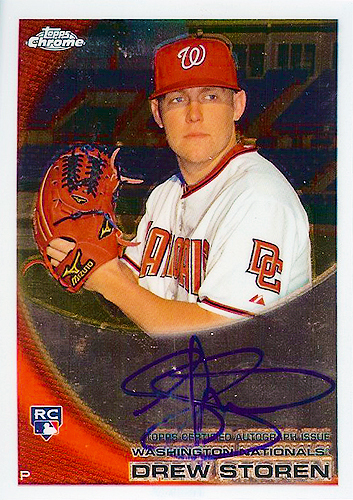 Storen was on my must-have list for 2010 autos. Unfortunately, it seems that a lot of these chrome cards are smudging, as this one definitely was unsmudged when I bought it. I blame on-card autos on a chrome for this, so there’s not much you can really do. I’m still glad to have something from Storen. And, of course, my Leaf set goes into this pile. 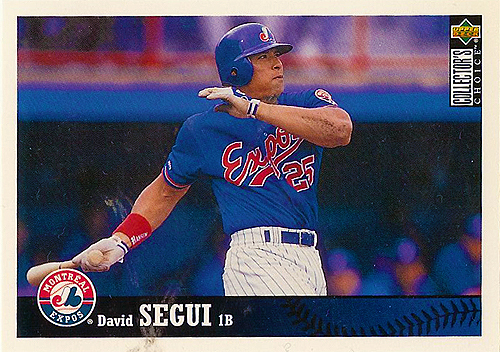 I haven’t scanned anything from it, but we’ll see cards from that set soon enough. Steve came across my tradelist on Zistle and saw a few items that he wanted, so we worked out a deal. I received his cards the other day and have had a backlog, so I’m now ready to post them! 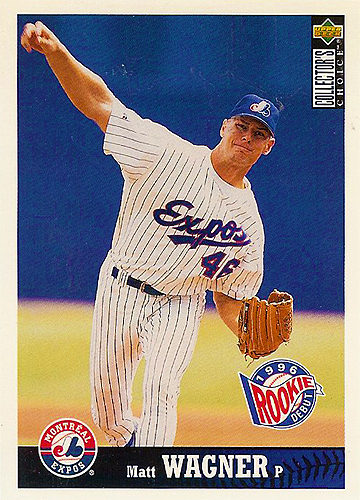 I told Steve I needed late-90s Expos cards, and he provided. Did he ever! 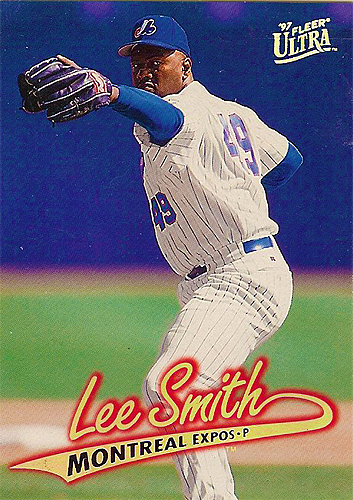 I had no idea Lee Smith had even been an Expo. I love finds like this. 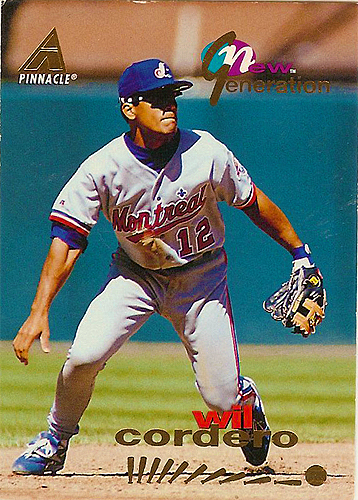 And another player I’d never heard of before. It’s great to be able to add “unknown Expos” to the collection. 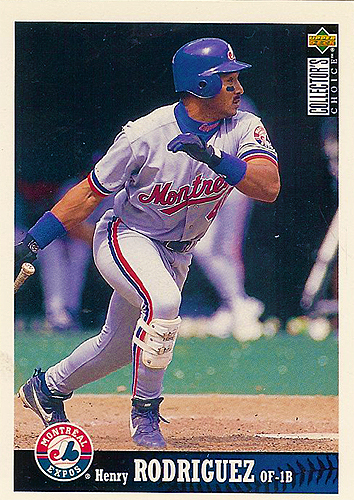 Hey, it’s my first 1997 Fleer card! At first I thought I wouldn’t like the matte style of the card, but I actually really like it. I think we need a set like this today. Steve included some other 97 Collector’s Choice, which is good, since I didn’t have any of these going in. Between this and the Nachos Grande break, I may actually complete this team set. Pretty cool little full-bleed card. I’d never seen these before. The elusive Brian Looney! I had heard of the guy but never seen one of his cards before. To get that, in addition to a sparkly Electric Diamond card, is pretty damn sweet. He included some other cards that will come up when the time is right. Thanks, Steve! Your cards are on the way shortly. So last week I was able to pick up a few things from eBay before getting robbed, so I thought I’d show off some of my swag this week. This is one of the promised cards from the 2010 Chrome replacement order. It’s even nicer in real life, and will definitely be a treasured part of my collection going forward, especially with Espinosa’s talent. 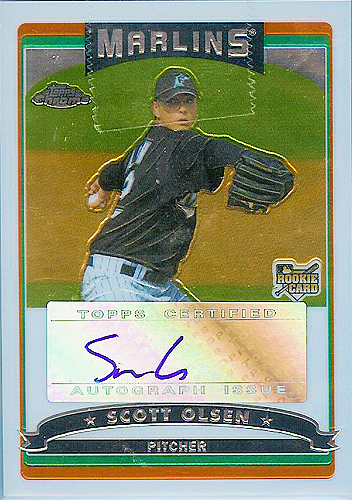 My first Scott Olsen auto. 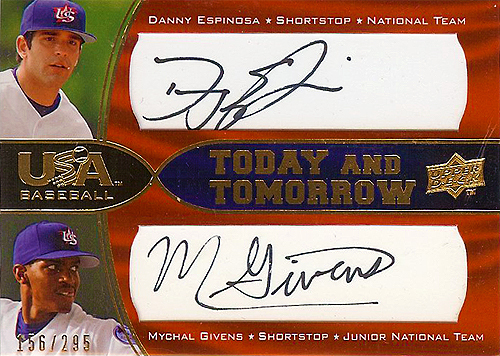 Obviously I’d rather have had a signed Nationals card, but just having the auto is an important step. 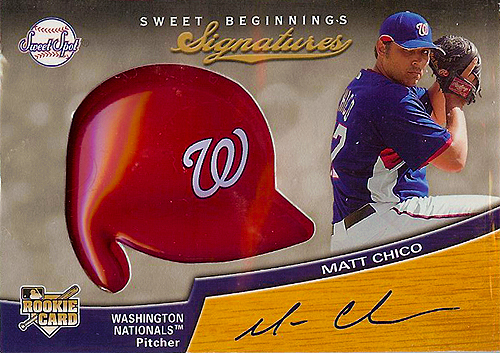 This is my second Matt Chico auto, but my first one of these mini-helmet cards. I was surprised at the heft and thickness of it, but I really love it. All in all, a pretty good day, and I have a long way to go!